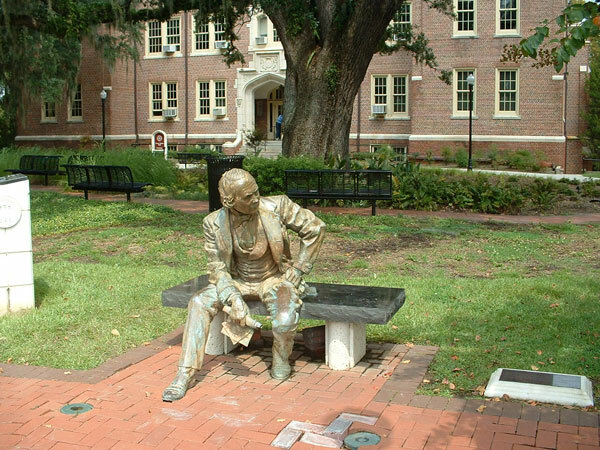 2001 was a banner year for FSU, marking the 150th anniversary of its founding and the University ended it in style with the official unveiling of the Eppes statue on the 24th of January, 2002. 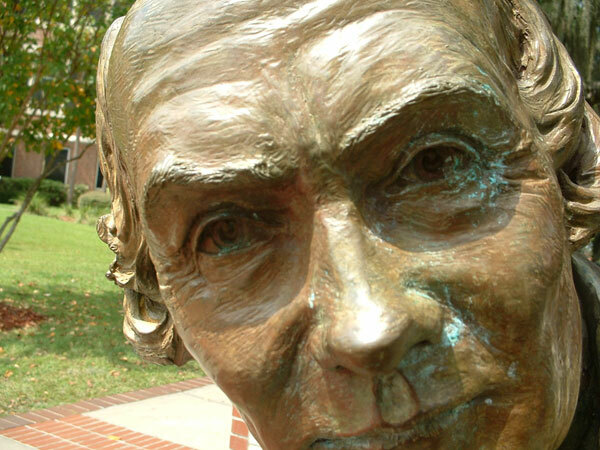 The sculptor was Edward Jonas, a 1972 graduate of FSU and a prominent portraiture artist. Several other Jonas statues adorn the Florida State campus, including the “Sportsmanship” and Landis Green Legacy Fountain sculptures. 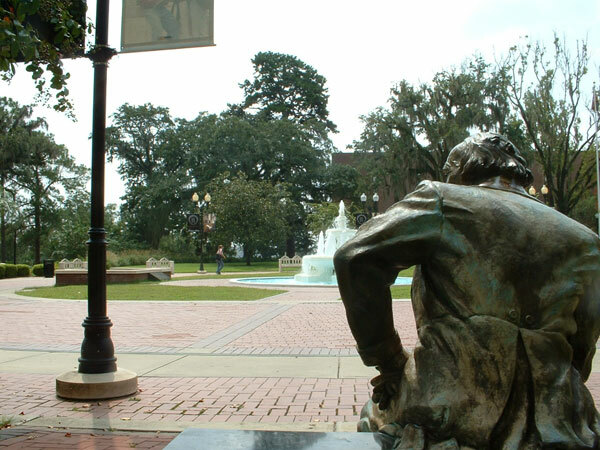 Jonas uses an element of symbolism in the layout of the Eppes statue: Eppes is seated on a bench gazing toward the historic city limits of Tallahassee, reflecting the criticisms he faced that the original campus location was too far west of town. Such arguments seem preposterous today in light of Tallahassee’s expansion after the 19th century. Given the fact only two known portraits of Eppes exist, one made when he was only five years old, Jonas’ work was cut out for him. According to Jonas, the most difficult aspect of modeling the statue was trying to attain Eppes’ likeness and give his eyes a life-like appearance. The finished product was the result of many painstaking hours put into researching 1850's style clothing and evaluating photographs of Eppes’ descendants. They laid a plaque detailing Eppes’ contributions to FSU on the ground east of the statue(2). 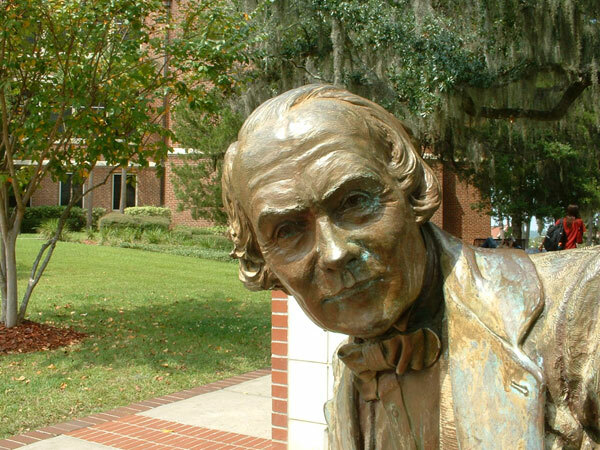 The rationale behind Eppes’ consideration as the “founder” of what became FSU often confuses the public about what role he played in its founding. The truth is the founding of the Seminary was a group effort. When legislation passed in 1851 calling for the establishment of two state-sponsored seminaries, Eppes held no official position. By the time he became mayor again in 1856, the construction of the seminary buildings were finished one year earlier. City officials of Tallahassee took it upon itself to build the Seminary in hope that in due time the state would officially recognize it as the Seminary West of the Suwannee. Eppes’ biggest contribution to the founding of the Seminary lied in his role in securing state recognition for the school. Eppes did not take the single-handed proactive approach like his grandfather Thomas Jefferson did with the founding of the University of Virginia (3). When D’Alemberte took the office of president in 1993, he wanted to reshape the FSU campus to reflect the ideals of Thomas Jefferson: “Jefferson’s ideals of a university is to give people a sense of democracy.”(4) There is also an Eppes Building, an Eppes Chair and an Eppes Trophy all named for Francis Eppes during the presidency of D’Alemberte. Given D’Alemberte’s fascination with Jefferson, Eppes’ family connections to Jefferson played a role in the decision to erect the statue. (1) D’Alemberte, Sandy, “State of the University Address- 1999: Florida State University: Embracing the Challenge of Change,” http://president.fsu.edu/99state/pages, date accessed 14 Sep 2006; Francis Eppes Monument plaque reads: “Francis Wayles Eppes 1801-1881; Grandson of President Thomas Jefferson; Founder of Florida State University.”. (2) Gerald Ensley, “FSU Celebrates Its Heritage,” Tallahassee Democrat, 25 Jan 2002; “Jonas,” http://www.edwardjonas.com, date accessed 17 Sep 2006. (3) Robin Sellers, The Jefferson Connection (unpublished paper, 1996), p. 9-12. (4) “D’Alemberte: FSU Can Have ‘Jefferson Ideals,’” Florida Flambeau, Nov 1993. 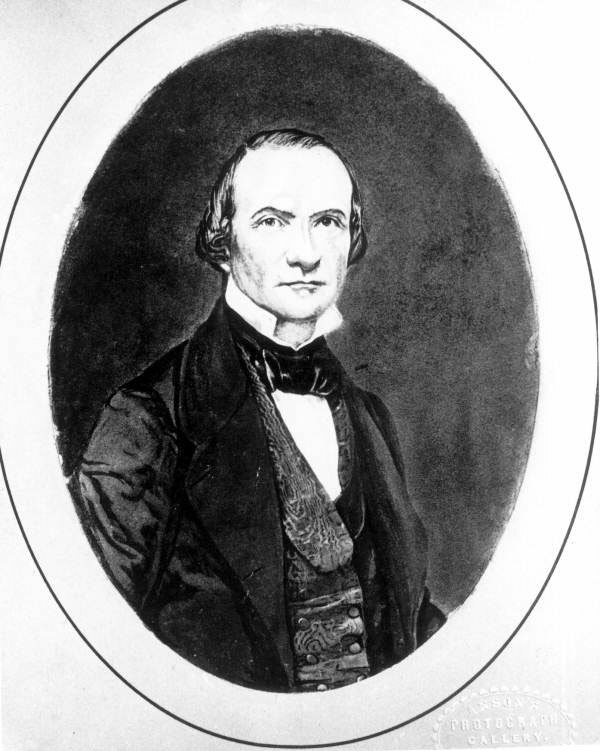 (5) Susan Bradford Eppes, “Francis Eppes (1801-1881), Pioneer of Florida,” Florida Historical Quarterly, vol. 5 issue 2 (Oct 1926), p. 94-102; Malcolm B. Johnson, Red, White and Bluebloods in Frontier Florida (Tallahassee, FL: Rotary Clubs of Tallahassee, 1976); Sellers, p. 1-6. (6) Eppes, p. 99-100; David Nolan, Fifty Feet in Paradise: The Booming of Florida (San Diego, CA: Harcourt Brace Jovanovich, 1984), p. 52-53.